After lifting the rear of my 93 d21 6"-8" for the Solid axle swap, I had driveshafts issues. I had to get rid of the center support bearing. I had a weird/Hum vibration above 60MPH. This is due to the driveshaft angles. I used a 4" lift spring that provided tons of lift, plus shackles. See SAS page for details. So went with a Nissan one piece driveshaft. A one piece rear driveshaft from an 01-04 Frontier (D22) Crew Cab (not CC long bed) Any D22 V6 4wd King Cab will also work. Its the same wheelbase as the D21 King Cab 116". Fits like a glove. Did not have to do anything to Truck. I cut off old center support bearing mounts just in case AFTER a few weeks. This upgrade works for any D21 and D22 King Cab or Crew Cab 4wd with a H233 or C200 rear axle. 86.5-2004. 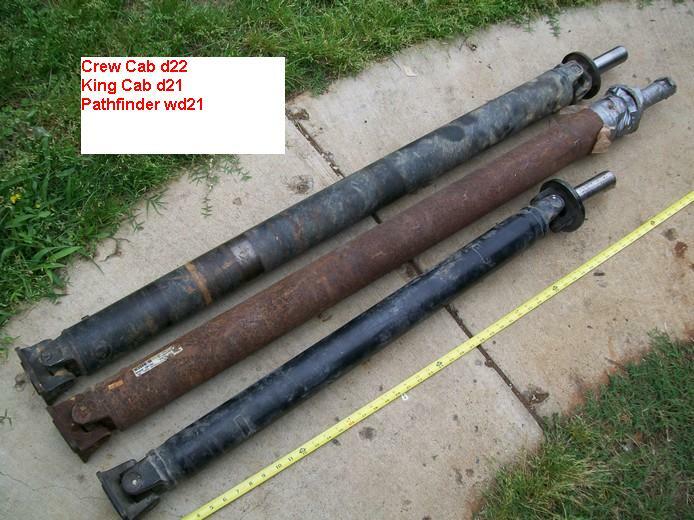 There is two shafts used from 01-04 D22. I believe it is because some third members have a ABS sensor and some dont. Some are on the axle ends. 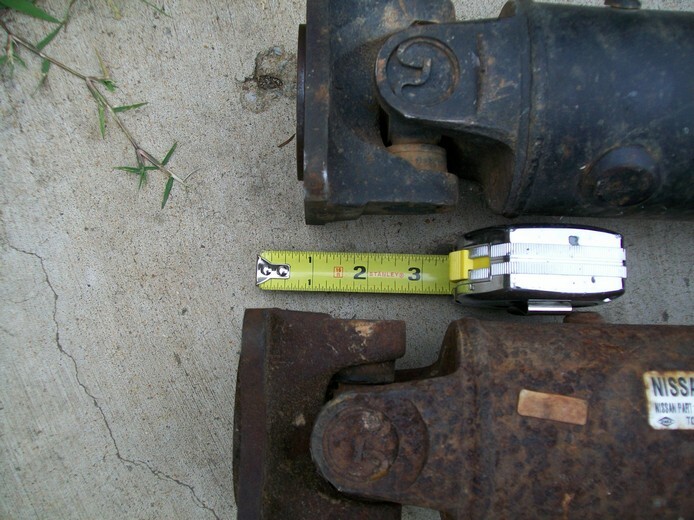 The 2 shafts are less than an 1" different. FAST states both shafts fit v6 and dont mention 4cyl. But 4cyl has the same tcase and H233 and C200 have same flange. The short one is a pathy shaft. The big difference between truck and pathy is both use 1310 U joints. But pathy has inside clips. Nissan Part number Weld to weld is 45.5". Some junk yards sell by this measurement. This is the one from a Crew cab one I run in my 93 D21 King Cab. Here is the part number 37300-9Z000. Click the picture for more details. 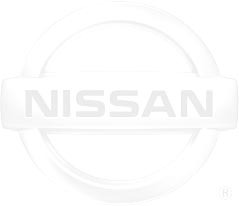 Nissan FAST states it fits CC and KC 4wd V6. This is my spare shaft from a 2004 D22 King Cab. Weld to weld is 46.5". Some junk yards sell by this measurement. Click the picture for details. FAST states it fits KC and CC V6. But I know a few folks with 4 cyl and these shafts. All the trucks where not stock height though. If you have a 2wd D21/D22 you will have a center support bearing. Since 1972, 620 nad 720s have center support bearings.